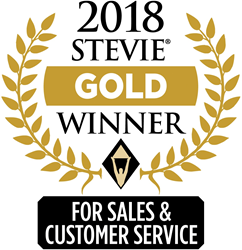 SmartLinx Solutions received six Stevie Awards — including one gold — in the 12th annual Stevie Awards for Sales and Customer Service, marking the third year in a row that SmartLinx has been an award recipient. These awards epitomize the SmartLinx commitment to exceptional customer service. Reflecting the company’s “customer first” business philosophy, SmartLinx Solutions received an unprecedented six Stevie Awards — including one gold — in the 12th annual Stevie Awards for Sales & Customer Service. This marks the third year in a row that SmartLinx has been an award recipient in the international business competition. “The Olympics may be over, but our customer service and sales teams brought home the ‘medals,’ and we are extremely proud,” said Marina Aslanyan, SmartLinx CEO. “Thomas VanAntwerp is extremely deserving of his gold award as young customer service professional of the year. For more information, visit SmartLinxSolutions.com, email hello(at)smartlinxsolutions(dot)com , or call 877-501-1310.